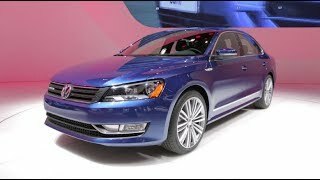 Volkswagen will be presenting the 2014 Passat BlueMotion Concept at the 2014 North American International Auto Show in Detroit. The company claims the Passat BlueMotion Concept will have a highway fuel economy rating of 42 mpg with 1.4-liter TSI engine with direct injection and turbocharging. 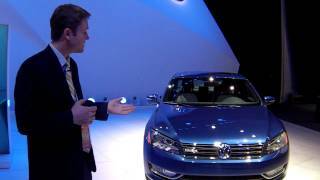 This new Passat will offer ACT technology, which stands for Active Cylinder Management. Using this technology, the car will deactivate the valvetrain on cylinders two and three for situations when the driver applies light throttle pressure to maintain city speeds (effectively running on 2 cylinders). 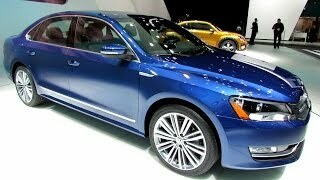 The 2014 Volkswagen Passat BlueMotion Concept delivers a maximum of 150 horsepower and a maximum of 184 lb-ft of torque.